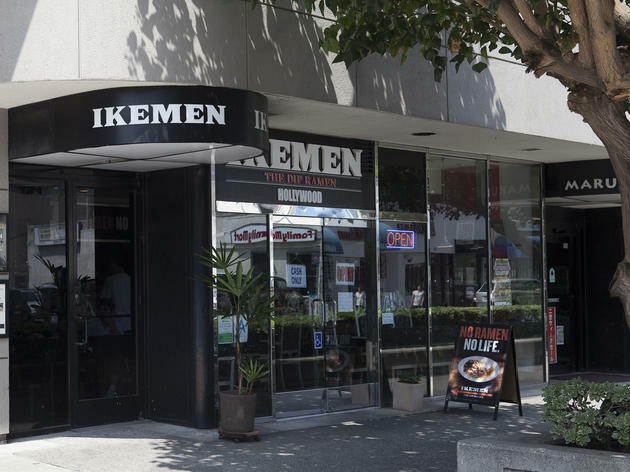 Ikemen's slogan is "No ramen, no life," which pretty much sums up the slightly punk-ish atmosphere of this ramen joint. 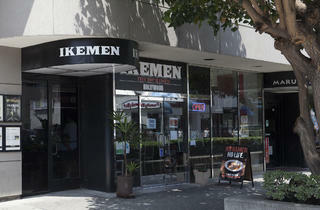 As it is as its original location in Hollywood, the specialty here is tsukemen ($9), or dipping ramen. Though tsukemen purists will want to stick with the wonderful bowls at Tsujita on Sawtelle, Ikemen's will satiate this side of the 405. Try the more creative bowls like the Johnny Dip ($9.00) where the tonkotsu broth is mixed with green onions and Italian basil and your choice of chashu pork or grilled chicken.